We went in cautiously because, in recent years, there has only been one DC film that delivered (as far as we’re concerned), and that was Wonder Woman. The Justice League was so-so, and I found myself walking out of the theater in the first 30 minutes of Aquaman. Not good at all. But this is not a general post from a film critic. 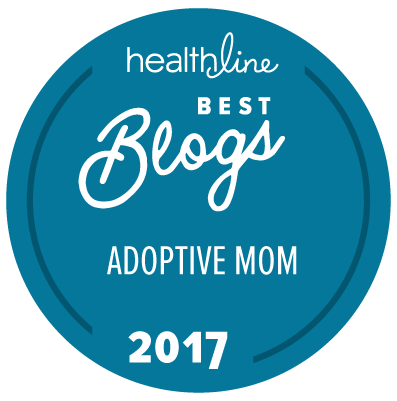 We write these reviews to help you, foster and adoptive parents, make informed decisions on what’s healthy, not healthy, and what you should be cautious of, when it comes to family entertainment. With that said, Shazam was great! Funny, entertaining, and thought-provoking. The storyline made sense, with an early backstory that was woven seamlessly into the overall plot line of the film. Zachary Levi is hilarious as Shazam, and his child persona (aka- who he turns back into when he’s not Shazam) Billy Batson, played by Asher Angel, is the perfect blend of shy and unassuming. Since I watched the movie with my 3 sons (who are all adoptees) I decided to ask them what they liked and didn’t like, so you also got a review from adoptees (SPOILERS)…. My 11-year old “LOVED how Shazam could fly,” and how “Hilarious he is!” Truth. We laughed a lot throughout. My 12-year old son didn’t like how Victor, the guy who runs the group home (played by Cooper Andrews) treats Billy when he shows up to the home after missing. “That’s not how you talk to kids! It was rude,” my son exclaimed. And I agree. Before he mentioned that as a dislike, I had determined that it would make it into this review as a negative. Not a good display of therapeutic parenting strategies with a child who has a trauma history. As I sat in the theater, feeling as though I was on the brink of my own tears at certain moments in this film, I couldn’t help but think, “In real life kids in foster care ARE heroes. They are the heroes of their story because they’ve had to overcome so much!” What a perfect way to portrait kids who are in the foster care system. It’s empowering and invigorating to say the least. My son mentioned it in his feedback above, but there are a couple of intense scenes, most notably the interaction between Victor (group home dad) and Billy. Victor is harsh with Billy when he shows up after running away and missing for some time. Understandably Hollywood is not going to capture therapeutic parenting strategies accurately, nor are they going to support a trust-building or connection over correction approach that we teach and believe in with children from hard places, but it could stir emotions in your children like it did mine. Unfortunately, the vast majority of the world world still views children in foster care as just bad kids who need discipline. However, we know there is something bigger happening with extreme behaviors. If you are taking younger children (younger than mine) be cautious of a few violent scenes. When villain Dr. Sivana (played by Mark Strong) shows up to his father’s company, the scene becomes mildly gruesome and quite scary as the 7 deadly sins materialize out of Sivana and kill each one of the board members gathered in his father’s conference room. I also need to mention the heavier scene (my son mentioned above in his feedback) where Billy finally finds his mother, who has been living just blocks away all this time. Early in the film we watch as a pre-school age Billy is separated from his (then) teenage mother during a crowded carnival. The scene leads us to believe she looked for him but couldn’t find him. However, later on, when he shows up at her door, she confesses that she intentionally left him because she couldn’t care for him. And this is made worse by the fact that she doesn’t want a relationship with him now that he’s grown up and finally found her. It was super sad and may be extremely difficult for some children (particularly those who have gone through that type of rejection) to watch. Over all, Shazam was a great film and we enjoyed it. As with all of these reviews, I hope you find our perspective helpful as you work to make healthy choices for your family! Question: Did you see Shazam? What were your thoughts? Share in the comment section below this post. You can leave a comment by clicking here.